Remember this guy from America’s Got Talent (2017) tv-show? Jeff Eats and Mrs. Jeff Eats have seen Puddles – live!…Trust me when I tell you, his show kills! 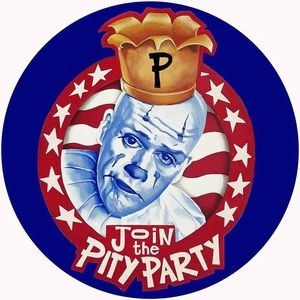 Don’t miss Puddles Pity Party. Tickets- Go On Sale Friday, December 28th, 2018 at 10am. The “Sad Clown with the Golden Voice” is back with a suitcase full of all-new emotional anthems and plenty of Kleenex. As with any Pity Party performance, it’s not all sadness and longing. Puddles’s set is peppered with a brilliant sense of the absurd, mixing lots of humor with the awkward, tender moments. With more than 180,000 fans on Facebook and over 40 million views on YouTube, including his acclaimed version of Lorde’s “Royals,” Sia’s “Chandelier” and other pop favorites, Puddles Pity Party has toured extensively in the U.S. including multiple sold-out shows at Joe’s Pub in NYC, the Regency Ballroom in San Francisco, and the legendary Troubadour in Los Angeles. My wife and I saw the show earlier this year at the Parker Playhouse. We loved it. Very campy and a load of laughs. Saw Puddles in Atlanta and he was terrific. He had me up on the stage and I had an absolute blast. Don’t miss him. A group of us saw Puddles at the PPH earlier this year. The show was a lot of fun. Puddles is a very talented creative performer. Go see him, you willl have a great time.